It’s certainly an understatement to call Fortnite a popular video game. The battle royale has become a full-on phenomenon. In fact, it’s so popular that it led developer Epic Games to a $3 billion profit in 2018. However, Epic isn’t content to just continue what it’s doing. CEO Tim Sweeny thinks the company can reach extreme levels of popularity, rivaling media titans like Facebook and Google. Both Google and Facebook have made moves to make a name for themsevles in the video game industry, showing that Epic is in a highly-lucrative field. “Even with our game engine, our business with the Epic Game Store, we’re still nowhere near the size of Google or Facebook. We really aspire to be that level of a supplier to the developers of the world,” Sweeny told Variety. For starters, he said he sees Fortnite as much more than a game, though that is the core of the Fortnite experience. Rather, he sees it more as a social platform, like Facebook or Twitter. Sweeny pointed to examples like the Marshmello concert held within Fortnite, which at its peak contained around 10 million players. There’s also the time when Drake played Fortnite with streamer—and eventual ESPN cover star—Ninja, which helped push Fortnite even more into the cultural zeitgeist. While Sweeny’s words are ambitious, they’re not completely unfounded. 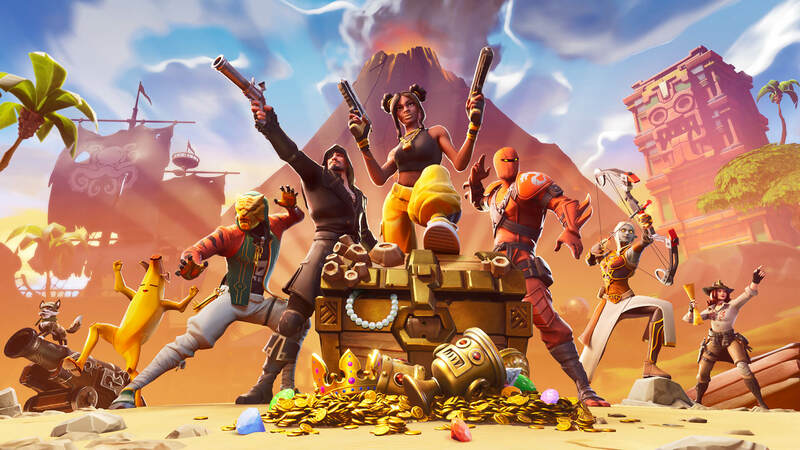 While there’s more competition than ever in the free-to-play battle royale realm, Fortnite has a social awareness few games truly have. Fortnite has become so important to Epic that the majority of its staff are dedicating their efforts to it, at the expense of other titles in its library. Despite that, Sweeny said the developer is also dabbling in some “experimental projects.” There’s the highly-lucrative Unreal Engine, which Epic licenses out to a number of developers. Epic also recently launched the Epic Games Store for PC. While many have their complaints about the service, it has made a name for itself with a generous revenue split for developers and high-profile exclusives like Detroit: Become Human. We shall see if Epic’s ambitions become reality.